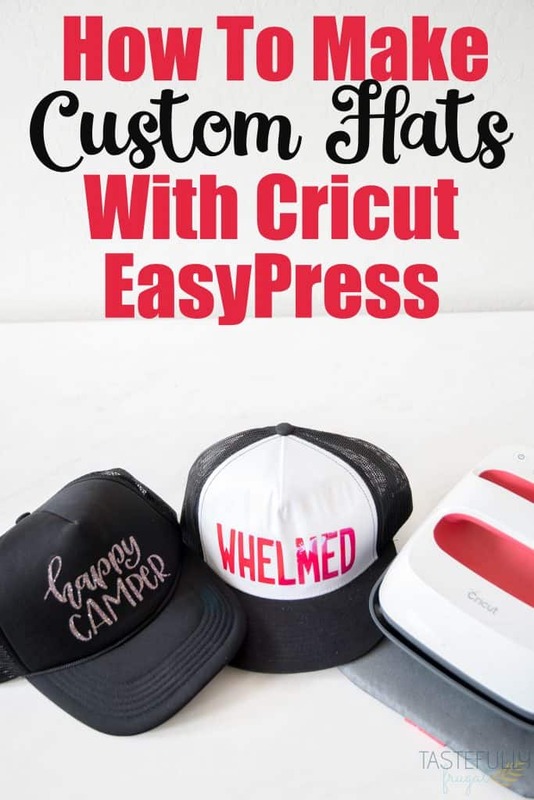 Make custom hats quickly and easily with the Cricut EasyPress 2. Last week we moved down to Arizona and we are loving it! The heat (high 90s) haven’t bothered us one bit but everyone keeps warning us about the heat that is too come. To be honest though, I will gladly take the 100+ days over snow ANY day! 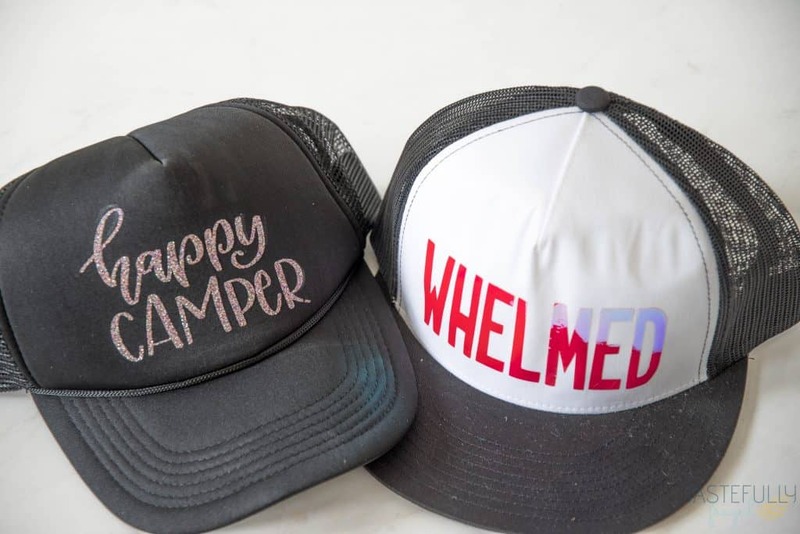 To be prepared for the hot summer days and inevitable laziness that is going to come on my part I decided to make some custom hats I can wear to hide that 3 (or 4 or 5) day old hair! With my old heat press I had a hat attachment that was really easy to use. BUT I sold my heat press last year because I just didn’t use it anymore now that I have my EasyPress and EasyPress 2. I knew the 6″x7″ EasyPress 2 would make it easy to make hats again but I didn’t know how easy it would be! Thanks to the EasyPress mat I was able to make these hats in less than 5 minutes for all 3. Two weeks ago I talked about the EasyPress Totes and how they are super helpful for not only storing your EasyPress machines but also how they store your most used iron-on vinyl supplies too. You can read more about it here. What I didn’t think about was how nice the totes were for moving your EasyPress machines too! I was able to fit all 4 of my machines (and their totes) in a moving box. They were easy to find once we moved (unlike the majority of my crafting supplies which are still in boxes) and even easier to setup in their new home. The key to making the hat making process quick and easy (and safe) is the EasyPress Mat. 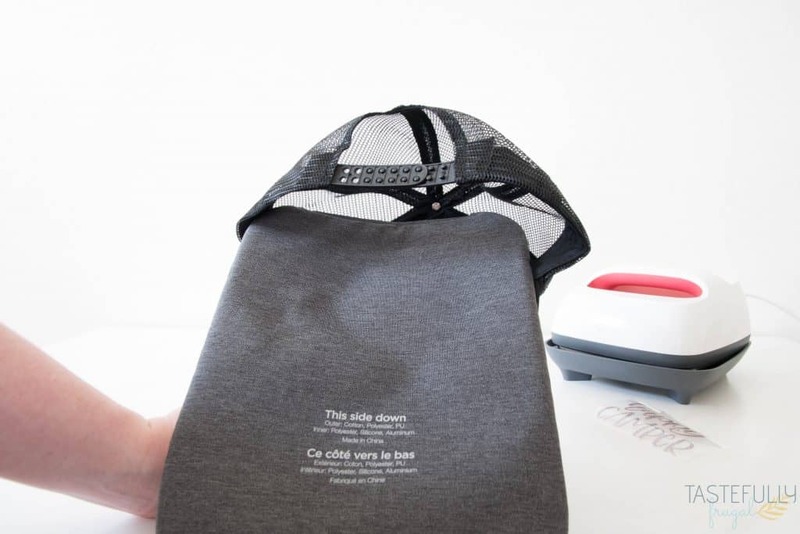 You use the EasyPress Mat on the back of the hat to not only protect your hand from the heat of the EasyPress 2 but also to keep the heat on the hat. This makes sure your iron-on vinyl sticks to your hat and doesn’t fall off. You also want to make sure you have a hat that has a flat front where you are pressing. 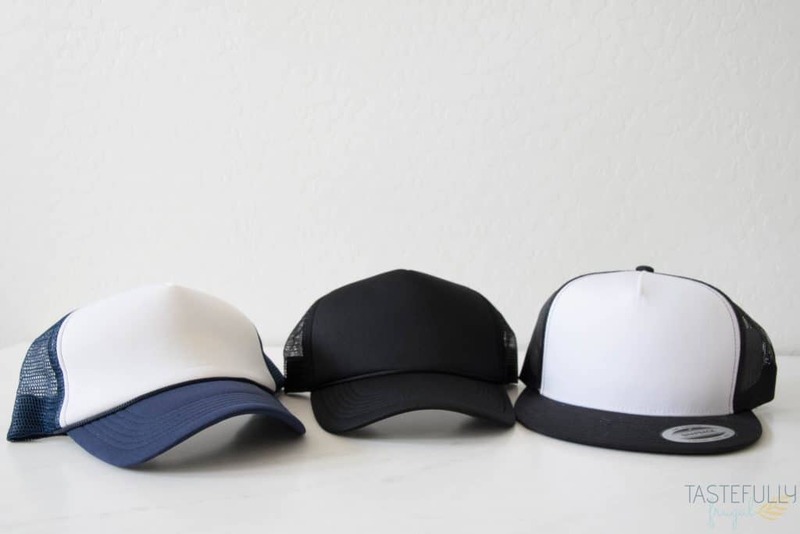 If you use a hat that has a seam down the middle, the EasyPress (or any iron or heat press) might not be able to press down completely on your design. 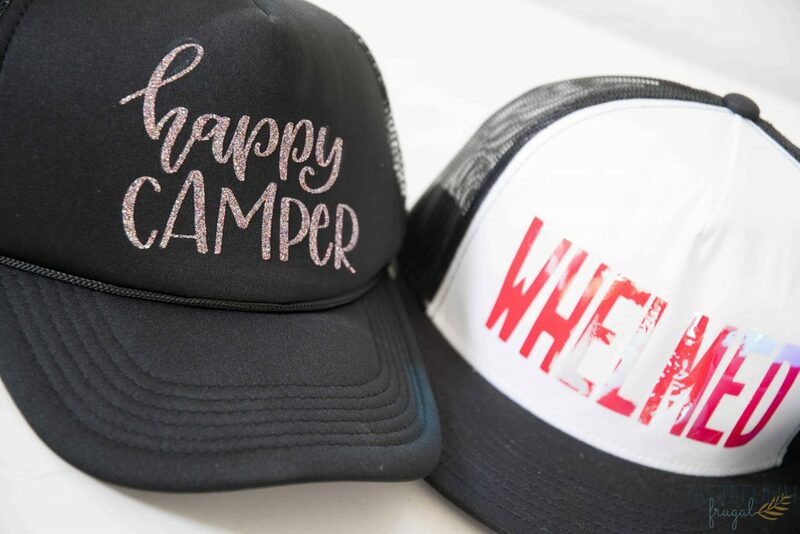 You can find all three designs in Cricut Design Space HERE. If you are wanting to order from Cricut.com make sure to use promo code TF10 to get 10% off and score FREE shipping on orders over $50! Load your iron-on vinyl on your mat shiny side up. Cut your design(s). Turn on your EasyPress 2 and set your time and temperature according to this chart. I set my EasyPress 2 to 330°F for all three of my hats and that temperature worked great on all of them. Preheat your hat front for 5 seconds with EasyPress 2. Line up your design in the center of your hat. Press your EasyPress mat on the inside of your hat with your hand and use firm pressure to press your EasyPress 2 on the design on the front of your hat for 30 seconds. Turn hat inside out, put EasyPress mat on the front of your hat on top of your design and press from the back with your EasyPress 2 for 15 seconds. Have you ever put iron-on vinyl on hats before? If you have what designs have you done? If you haven’t what designs do you WANT to do?! 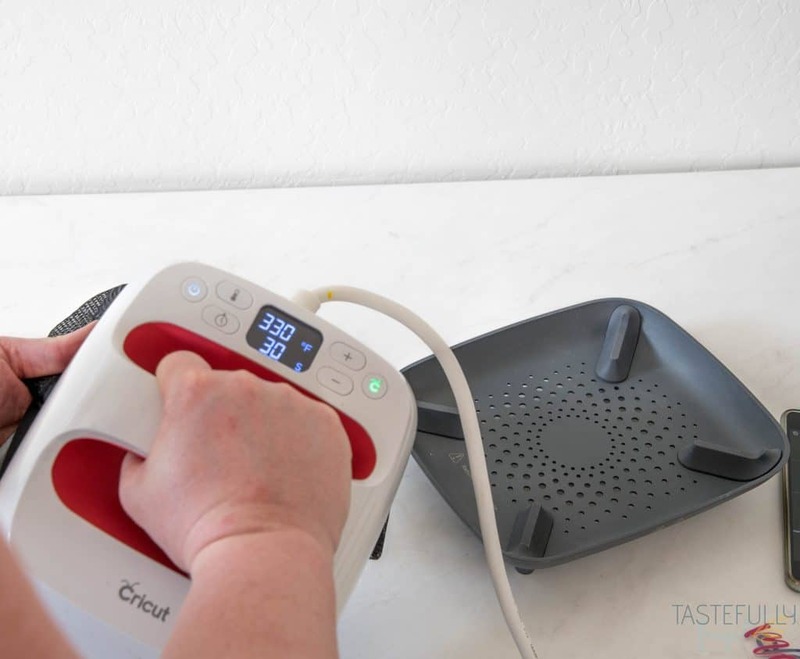 Want to check out more ways you can use your Cricut check out these posts! 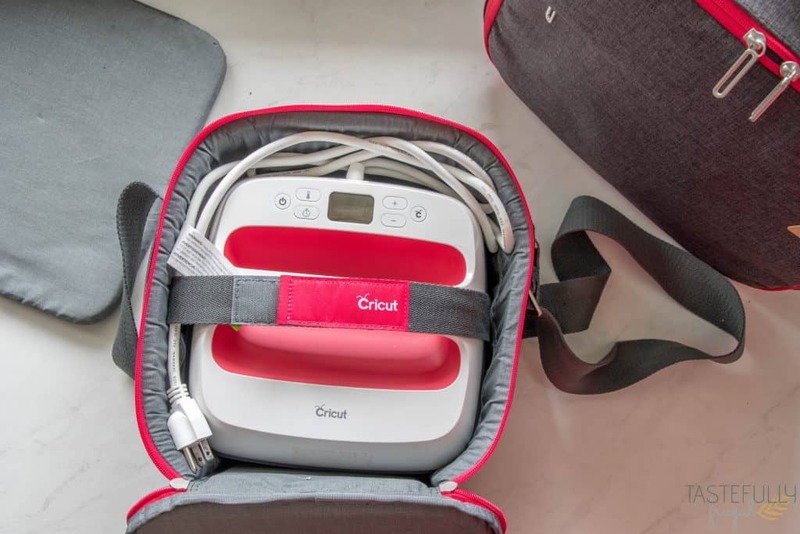 Need help with your Cricut? 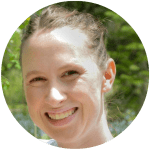 Join our Cricut Support Facebook Group!